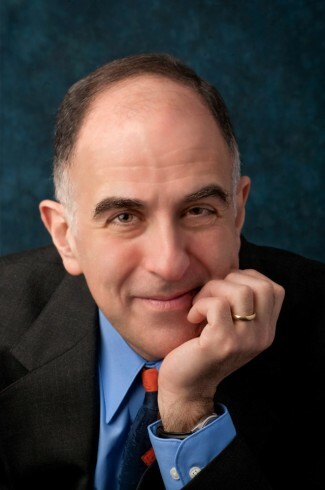 Richard Grossman, professor of economics. Professor of Economics Richard Grossman has been named a 2013 Guggenheim Fellow. He will work on a project about the evolution of banking regulation across the industrialized world. Awarded by the John Simon Guggenheim Memorial Foundation, the fellowship assists research and artistic creation “for men and women who have already demonstrated exceptional capacity for productive scholarship or exceptional creative ability in the arts.” This year, 175 scholars, artists and scientists were selected to receive fellowships from a group of almost 3,000 applicants from the U.S. and Canada. Grossman said his research will involve gathering data on different aspects of banking regulation across a number of countries and U.S. states to examine patterns of path dependence. Most of the research will be undertaken using library materials available at Harvard, where Grossman is a visiting scholar at the Institute for Quantitative Social Science, and at Wesleyan. He will use primary sources, such as statute books, and secondary sources, such as historical writings. Grossman said he also hopes to interact with others pursuing scholarship in this area at various conferences. In the long run, Grossman plans to expand his project to study the notion of path dependence, or the importance of history in determining important aspects of the modern economy, in a number of areas. For example, he will examine the influence of the military occupation of the South by the North after the Civil War on the subsequent economic conditions of African Americans. He also plans to compare the natural resource policy of the British government in Mandatory Palestine (1923-1948) with policies adopted by the State of Israel after its independence in 1948. Several other Wesleyan faculty members have received fellowships from the John Simon Guggenheim Memorial Foundation in the past. In recent years, they include Magda Teter, chair of Medieval Studies, Jeremy Zwelling Professor of Jewish Studies, professor of history, professor of feminist, gender and sexuality studies, and Elizabeth Willis, the Shapiro-Silverberg Professor of Creative Writing, professor of English, in 2012; Sarah Ruden, a visiting scholar in Classics, in 2010; and Jeffrey Schiff, professor of art, in 2008.